Handing in the Google badge for the chance to change education. 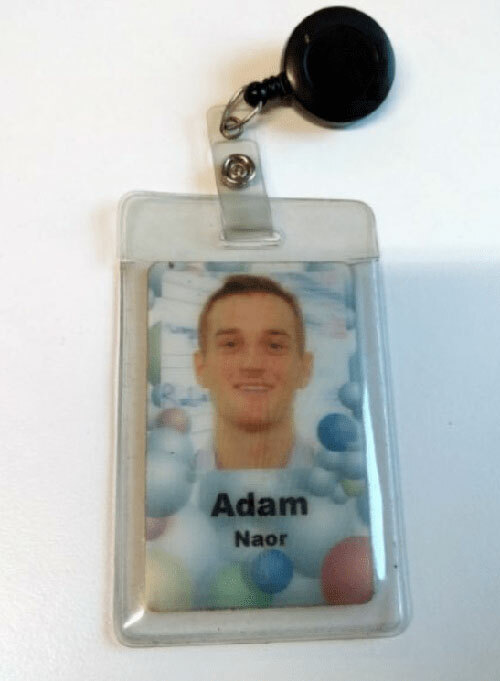 I first started interviewing with Google as a 22-year old. This year, I turn 30. Google is an exceptional place to work — the culture, people, products, and perks are world-class. Having spent the bulk of my 20’s with Google, I can say with confidence that the company grew to be more than an employer to me; it became family. So my decision to leave was very challenging. However, when I think of where I am headed next — to start my own company to educate kids about financial literacy — I am filled with excitement and optimism. I am also filled with fear. Walking away from comfort, predictability, and an income — all at the same time — surely qualifies as the biggest “here goes nothing” moment in my life. This is my story. I spent the majority of my time at Google helping schools adopt educational software in the classroom. Usually this meant Chromebooks and Android tablets, but also Google docs and email and other specific tools for managing schools, helping kids share and collaborate on documents, and so on. By working in the ed tech space, I got first hand exposure to two things: how schools use technology and how curriculum is integrated in the classroom. As I toured schools and met with parents, principals, and teachers, I saw firsthand their struggles with old and outdated technology and how this slowed down learning, reduced student engagement, and led to frustrating experiences for students and teachers alike. I witnessed the importance of software for shaping learning moments and outcomes. Well designed software engages kids and make them smile while they learn. Slow buggy software leads to huge distractions because kids get frustrated and lose interest. This doesn’t surprise me much, because my own experiences with software are the same. We all know that bad software is a pain. I remember witnessing a teacher ask students to start an assignment. One unlucky child had a slow loading computer, which froze and took several minutes to reboot. Needless to say, this student was left flustered and left behind. This is one small example, but moments like happen in classrooms all too often, and it left an indelible impression on me. Poorly designed educational tools waste time, divert energy, and get in the way. To this day I have never met a teacher who went into education to manage IT headaches in the classroom. Yet all too often this becomes a time consuming part of the job. As I spent more time with teachers I learned what they taught in addition to how they used technology to teach. Amazingly, curriculum today is strikingly similar to when I was a student. Yet the world has a changed profoundly and the skills, knowledge, and traits that one needs to be successful today are strikingly different. While I was taught to read and write a foreign language, I was not taught to read or write a computer language. Yet everyday I interact with computers. I learned how to calculate the area under a curve, and the volume of a sphere, but not how how to file a tax return or create a budget. My teachers always told us to never speak with strangers but failed to mention that credit card debt is a far more pernicious danger. In short, I was taught many important things but many equally important things were omitted from my formal academic education. If no one else is solving the problem—I will. When I look at what students are taught today I recognize that clearly some key elements are missing. Over the past years I have been thinking about gaps in the education sector — and believe that financial education is an area that technology is particularly well suited to address. Few U.S. states and fewer countries mandate financial literacy for their students — and this has had broad and negative ramifications on personal debt levels and student loan default rates. On all my school visits I never once visited a classroom where kids were being taught about personal finance. Naturally this led me to ask, are there ways I can solve this problem? It’s a question I have been pondering for awhile and it was time to address it head on by starting a company to educate kids about money. 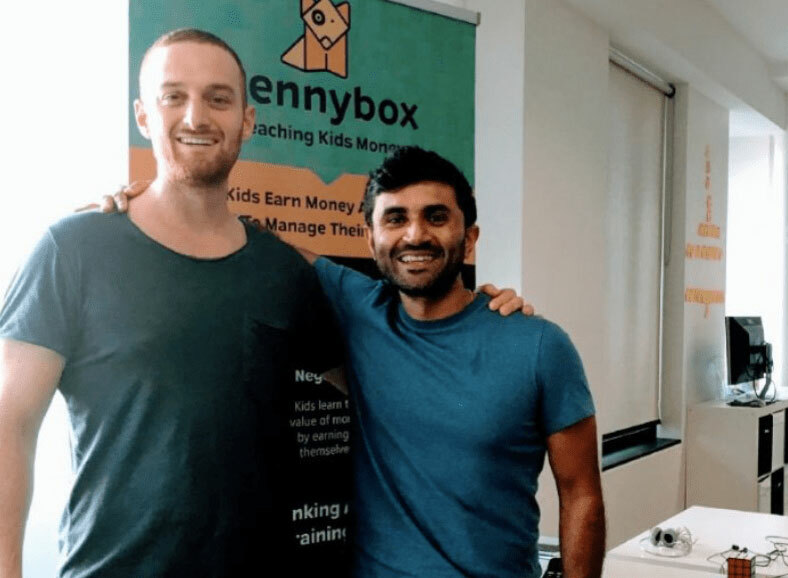 I founded Pennybox with my good friend Reji Eapen , who previously worked as a financial analyst at a bank, with a simple yet audacious goal: educate kids and families about money and make our users more financially thoughtful and responsible as a result. Before starting Pennybox, we spoke with hundreds of parents and asked the following questions: do you teach your kids about money and what are the results? What we learned was surprising: while all parents thought that financial education was important to the well being of their children, few actively engaged in teaching financial topics at home or felt empowered or sufficiently skilled to do so. When I was young my parents gave me a book about fun ways to earn and save money. I remember reading it and appreciating the photos of coins and the stories about how the pile of coins would grow with time and compound interest. I was fascinated from the first page. My parents had taken time to buy me that book and made sure I read and understood it which made me lucky. Pennybox wants to bring the knowledge, insights, and ideas I once learned — about how to earn and save money — and make them accessible and available to all families. Money education is broad and has many diverse facets ranging from earning, saving, investing, donating, and spending money wisely. So where do we start? We believe that the most important step to a thoughtful financial education begins with helping kids earn money. we make it easy for kids to earn money for doing real jobs and tasks at home or at school. we help kids and parents learn about important financial concepts. All behavior is tied back to our financial curriculum and syllabus. we enable users to share their jobs, accomplishments, and learnings with their friends and family. By sharing information we empower kids to learn from each other. We are proud of what we are building and hope it’s a great tool for all families. But it’s just the beginning. Our approach is novel and we want to improve it. In Australia (where Reji and I became friends), there are approximately 3.1 million kids between 6 and 16 across 2.7 million families. Approximately $1.5 billion per annum in pocket money changes hands between parents and kids, and this money is largely ‘unbanked.’ In Asia, there are 750 million kids between the ages of 3 and 9 (16% of Asia’s population). And in the United States there are ~55 million kids between ages between 5 and 17. We know that a large proportion of these kids remain ‘unbanked’ and ‘undereducated’ about money concepts. Everything we are building is intended to solve this problem. Many friends and colleagues said that I was crazy to leave a great position to build a product to help parents and kids learn about money. Maybe they are right. Developing a creative and engaging app that provides financial literacy education in a person’s early life is challenging. But it is also important work. And given that schools are not teaching personal finance in the classroom, it’s time to now make this work my mission. I’m deeply grateful for the time I spent at Google and am ready to embrace the next big challenge at Pennybox. A world where people are educated about money — and know how to earn, save, invest, and donate it thoughtfully — is a world I want to live in.